Let’s be honest – Zagreb, the capital of Croatia, wasn’t on our bucket list and we didn’t know much about the city before. Even during our road trip in Croatia, when we explored mainly the country’s coast, we still weren’t sure if Zagreb was worth the detour. But in the end, we decided to stop there on the way from Dubrovnik back to Prague, where we currently live, to break the journey. Now we know – Zagreb is definitely worth a trip! 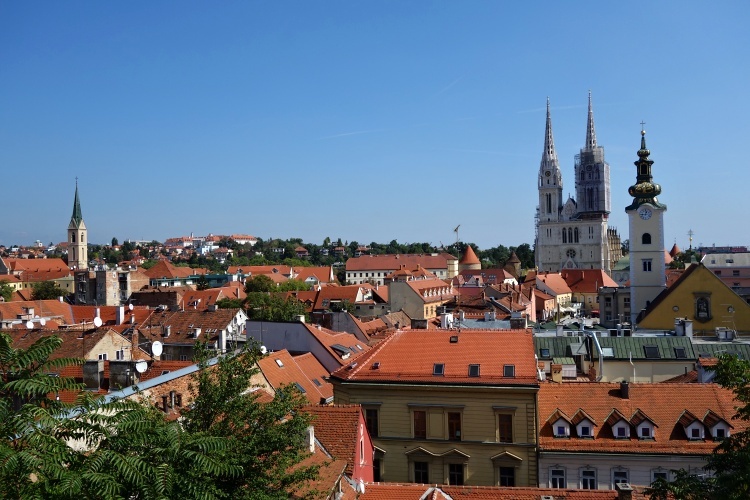 Zagreb is such an interesting city – still not as well known as other capitals in Europe and therefore not as crowded, which is a huge plus these days when overtourism is being discussed a lot. It’s not big and most of the city centre can be explored in a day, so it’s great for those quick city breaks over the weekend. This is our take on how to spend a perfect day in Zagreb. Spring and autumn are the best times to go because the weather is the most pleasant for exploring the city’s streets and green spaces. You can still enjoy Zagreb during summer or winter but you will need to deal with the heat or the cold – however, this can be easily done in local museums, galleries, restaurants, cafes or shops. 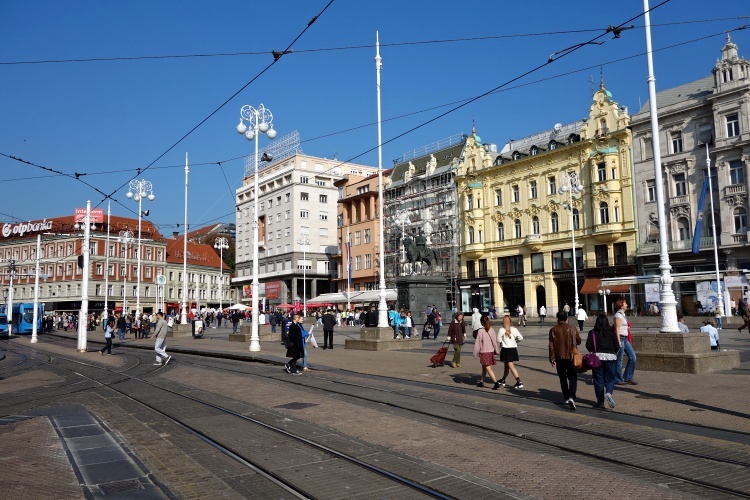 We visited Zagreb in September and the weather was nice and not too hot – great for walking around the city all day long. TIP: If you are a Christmas lover, head to Zagreb in December to enjoy their enchanting Christmas markets. Franjo Tudman Airport (ZAG) is the main international airport in Croatia, with flights covering mostly European destinations but also the Middle East, North America or Asia. The airport is located about 10 km (6.2 miles) from Zagreb’s city centre – bus number 290 will take you there in about 40 minutes. Shuttle buses, taxis or car rentals are also available. Autobusni Kolodvor is the main bus terminal in Zagreb and is located not far from the train station. It serves both domestic and international destinations and you can get there by tram from the city centre. Zagreb Glavni Kolodvor is the main railway station offering international and domestic connections. The tram stops in front of the station, making it easy to reach. Highways in Croatia are in a good condition, with a toll being charged per number of kilometres that you have driven. 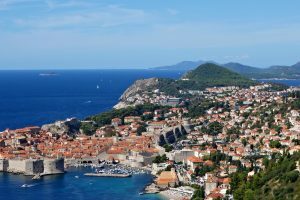 You need to collect a ticket at the entry point and pay the toll at the exit – Croatian kunas, euros or credit cards are accepted. In summer months the toll fees get more expensive. 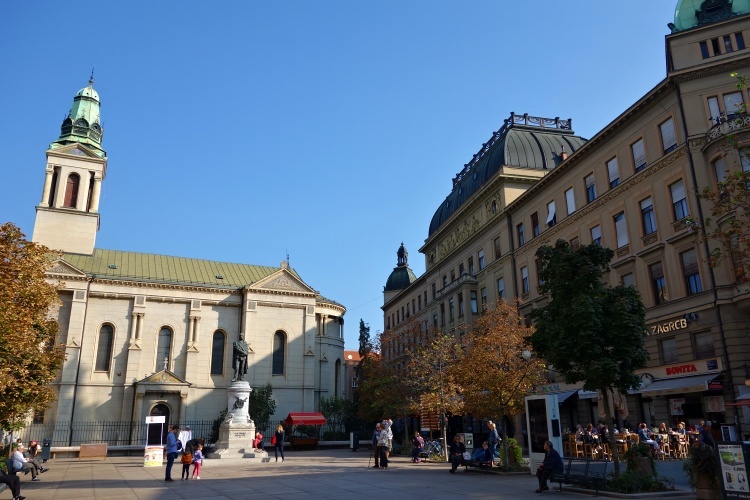 The centre of Zagreb is compact and easy to explore on foot, so you don’t really need to use public transportation if you are there just for a day or two. The public transportation system is efficient and includes buses, trams, trains and a funicular. 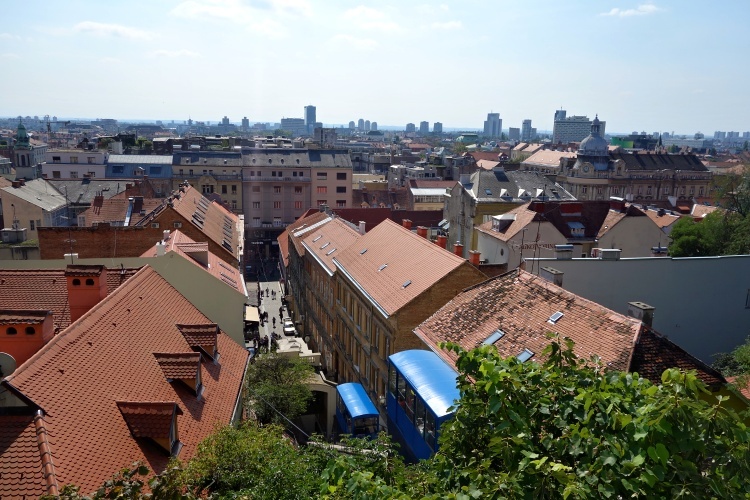 The historic funicular (uspinjaca in Croatian) connects the Upper and Lower Town and is one of the shortest in the world so it’s worth visiting – it’s located near the Lotrscak Tower. If you are planning to use public transportation and visit some museums, consider getting a Zagreb Card to save money. If you arrive in Zagreb in a car, it’s a good idea to leave it at your accommodation and walk from there or use public transportation because it’s hard to find cheap parking in the city centre. The city centre of Zagreb isn’t big so you can see most of the landmarks in one day without having to rush. 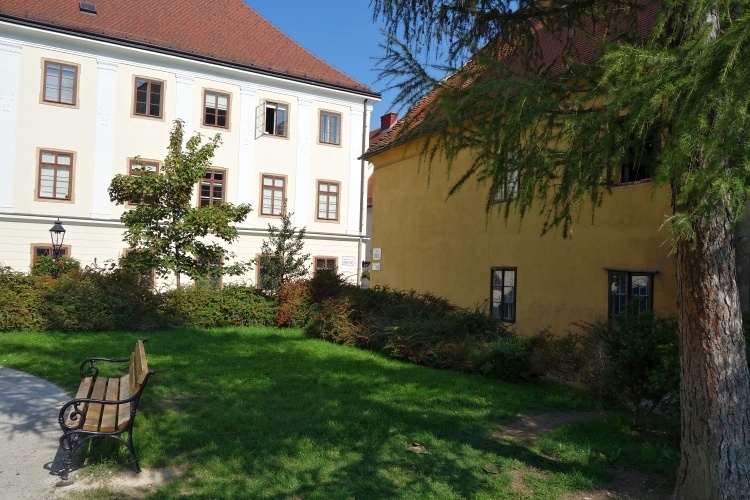 The city centre consists of two parts and each has a different feel – while the Upper Town (Gornji Grad) is the historical centre, the Lower Town (Donji Grad) is more contemporary and is home to many green spaces. Start at Ban Jelacic Square – the main central square. 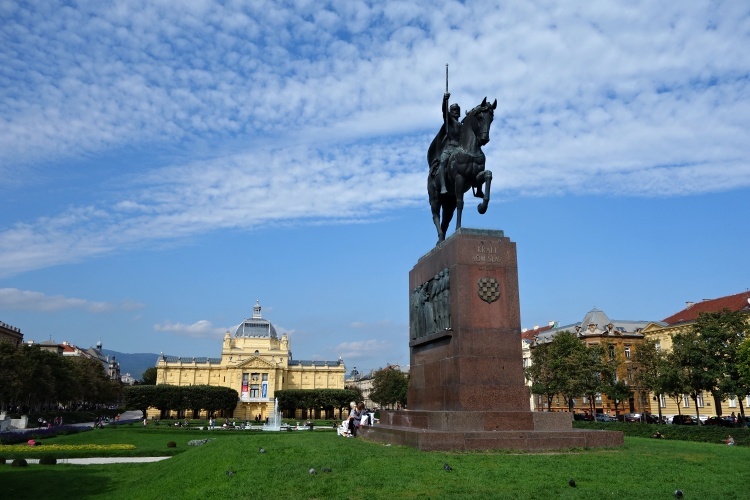 It’s a large square surrounded by colourful buildings of various architectural styles and dominated by the statue of Ban Jelacic, a Croatian politician. TIP: For the best views of the city visit Zagreb 360 – the observation deck on the 16th floor of the skyscraper located on Ban Jelacic Square. 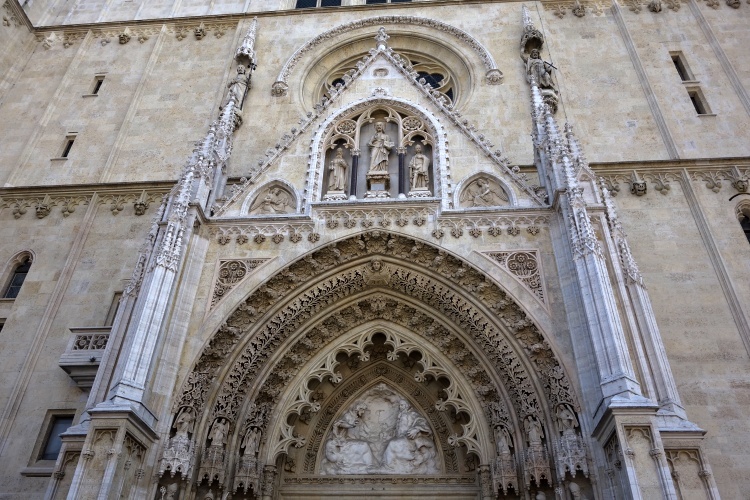 The Neo-Gothic Cathedral of Zagreb is the landmark of the capital and the tallest building in Croatia – its spires are 108 metres (354 feet) high. It was built in the 11th century but since then it has been damaged by attacks, fire and earthquake, so it has had to be rebuilt. TIP: Don’t miss the cathedral organ, which is considered to be one of the ten best-quality organs in the world. 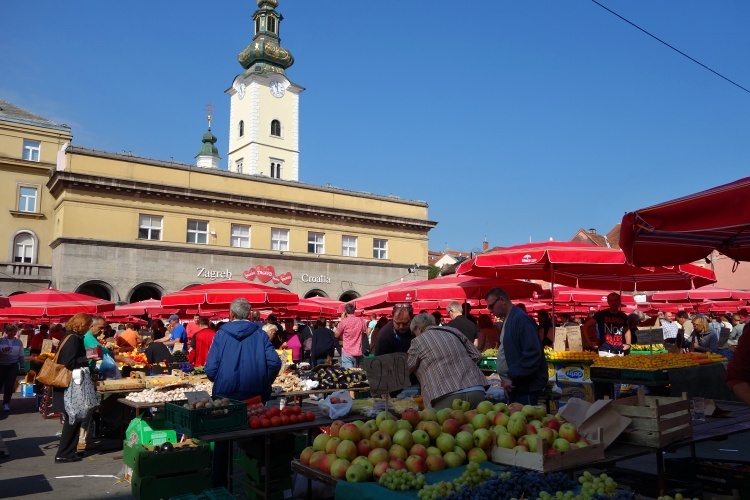 The busy Dolac Market is the biggest and best market in Zagreb. The outside part is colourful, buzzing and has the Mediterranean feel – mainly fruit and vegetables are on offer here. You can buy mostly meat and dairy products inside the market – it’s not as colourful as outside and by its setting and atmosphere it reminded us of the Communist times that we know from the Czech Republic. For the best choice of fresh produce visit the Dolac Market in the morning. Some items might not be local but imported, so verify the origin with the vendor if it’s important for you. 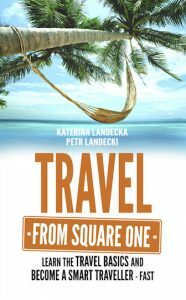 TIP: Explore Tkalciceva Street nearby – this lively street is renowned for its restaurants, cafes, shops, but also great nightlife. The peaceful Stone Gate was built in the 13th century and used to be one of the main entrances leading to the medieval town. 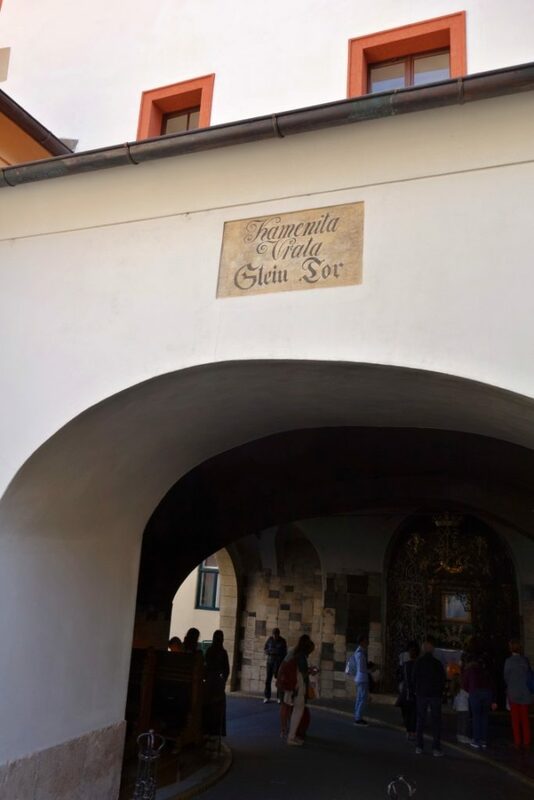 A fire in the 17th century destroyed the wooden gate and only the painting of the Virgin and the Child remained – it’s believed that it has special powers and that’s why people come here to pray and light a candle. TIP: The oldest pharmacy in Zagreb, which was founded in 1355, is located in the same street as the Stone Gate. It’s called ‘K Crnom Orlu’, which means ‘At a Black Eagle’. 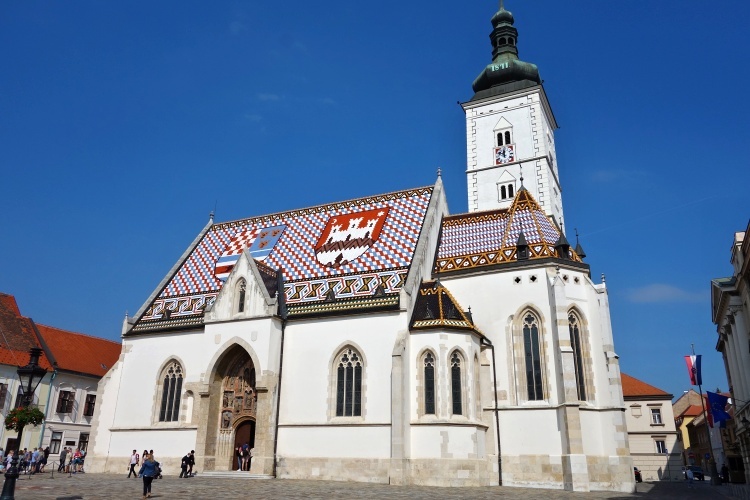 Saint Mark’s Church with its colourful roof is one of Zagreb’s signature buildings and one of the oldest buildings in the city – it was built in the 13th century but the beautiful tiled roof is from the 19th century. You can see the crest of Zagreb on the right-hand side and the symbols of Croatia, Dalmatia and Slavonia on the left. The church is often closed, so it’s recommended to come during a mass to make sure that you can get in and see the beautiful interior with the ceiling coated in real gold. 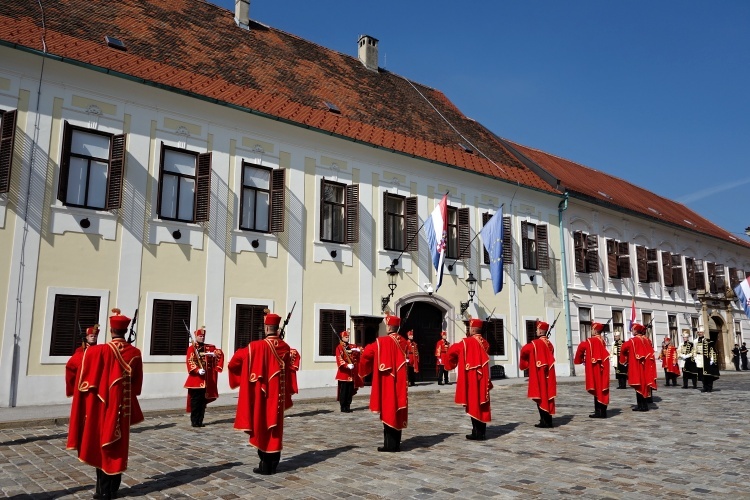 TIP: If you are in Zagreb between the end of April and October don’t miss the change of guards next to Saint Mark’s Church – it’s held at noon during weekends. 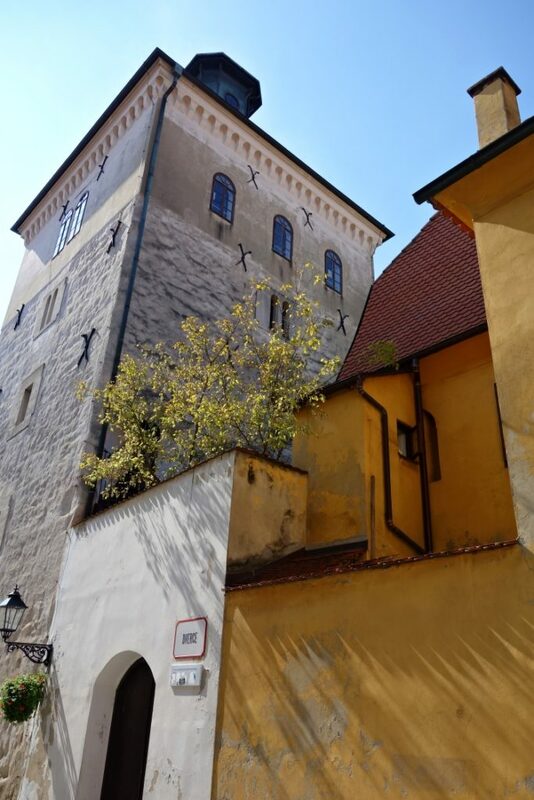 For some of the best views of the city visit the Lotrscak Tower, the city’s fortified tower from the 13th century. Explore the nearby area for more great views – there is a viewing platform close to Saint Catherine’s Church and also the famous funicular is just a stone’s throw away. TIP: The Gric cannon, located in the Lotrscak Tower, fires every day at noon, so try to be around. Walk downhill from the Upper Town to reach Petar Preradovic Square, which is also called Flower Square. This lively square is dominated by the statue of Petar Preradovic, a Croatian writer, with an Orthodox Church in a backdrop. TIP: The square is surrounded by beautiful buildings, but also cafes, restaurants and shops, so it’s a great place to have a meal or a drink and do some people watching. 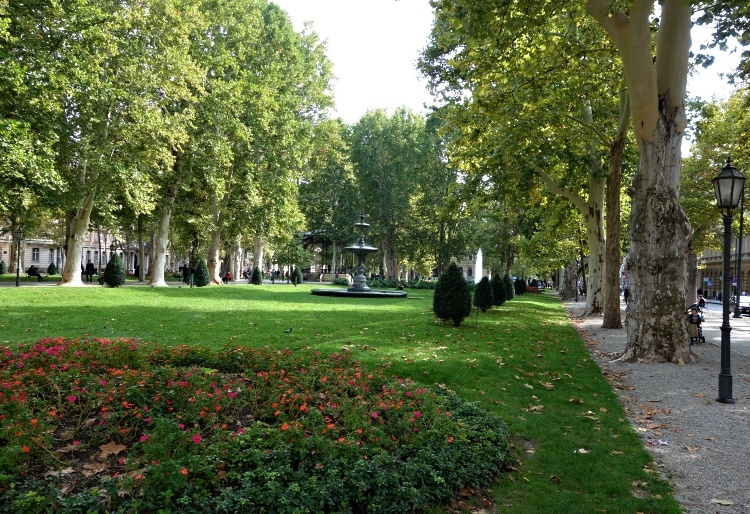 Parks and green spaces in the city centre have been connected to create a ‘Lenuci Horseshoe’ making it possible to explore the Lower Town by walking it in green. Take a romantic break in one of the parks in the area – start in the Zrinjevac Park with its fountain known as ‘The Mushroom’ and walk through the Park Josipa Jurja Strossmayera to get to the beautiful Art Pavilion (Umjetnicki Paviljon) just north of the King Tomislav Square (Trg Kralja Tomislava). TIP: This area is a popular place where various events take place so it might get very busy (and less romantic) some days. 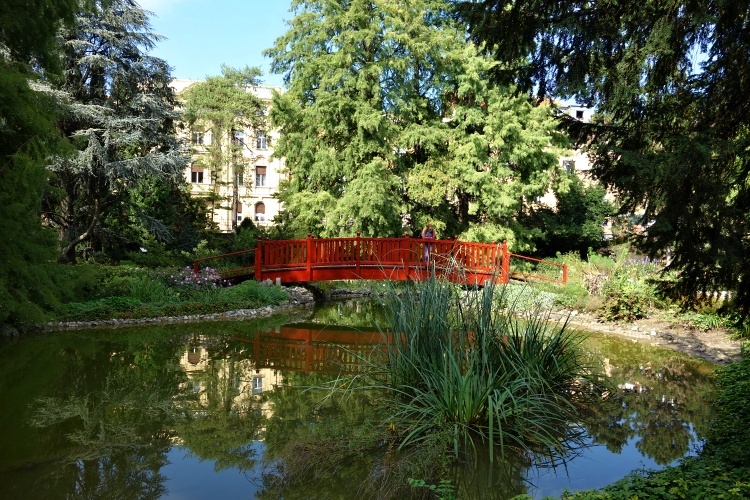 The Zagreb Botanical Garden is also worth checking out – it’s not big but it’s home to more than 10,000 types of plants, mainly the native Croatian plants. It’s a nice and calm place with many paths to follow, great for another break. TIP: The Zagreb Botanical Garden is open only from 1st April until 1st November and admission is free. 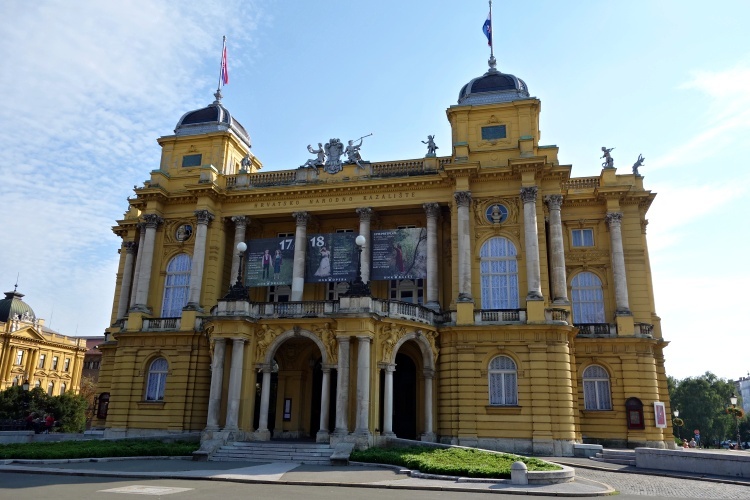 Let’s finish your tour of Zagreb at the majestic Croatian National Theatre – the Neo-Baroque building dates from the 19th century and you can enjoy drama, opera and ballet performances here. Don’t miss the renowned fountain ‘Well of Life‘ in front of the theatre – it’s a great work of art by a Croatian sculptor Ivan Mestrovic. 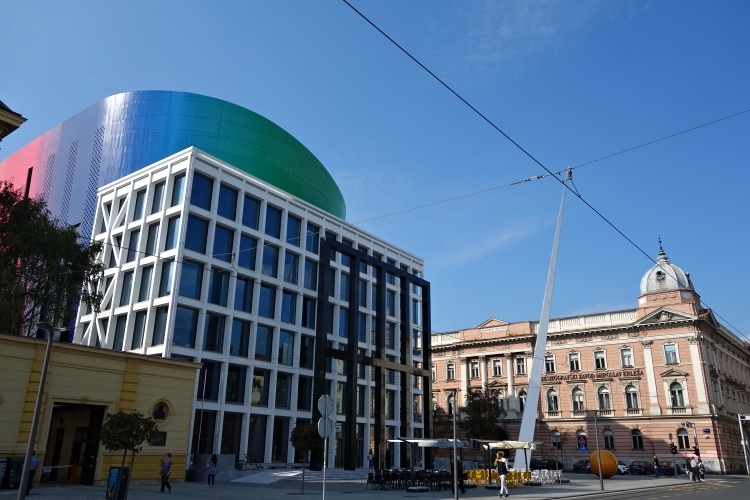 Across the street, you can see the contemporary building of the Academy of Music that belongs to the University of Zagreb. TIP: After all the walking you deserve a treat – head to Vincek for the best ice cream in Zagreb. This shop was recommended to us by our local Airbnb host. There are many accommodation options in Zagreb to suit every taste and budget. We stayed in this Airbnb apartment because it offered free parking and was within easy reach to the city centre. 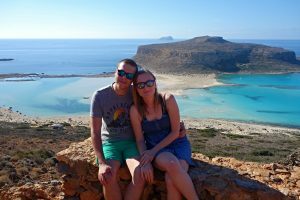 It was clean and with good wi-fi and our host Visnja was very helpful. 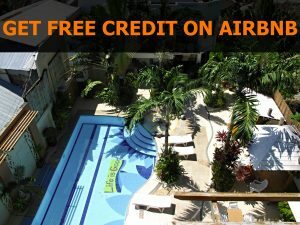 You can see how Airbnb works and get free credit for your first stay here. Our Thoughts – Go or Not to Go? 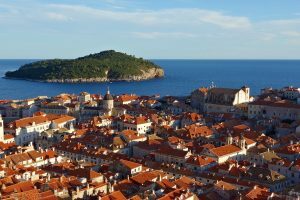 Most travellers explore only the coast of Croatia and miss the capital Zagreb located in the north of the country. It’s a pity because Zagreb is such an interesting city and it’s fast becoming an emerging city-break destination. Our favourite part was strolling in the streets of the historic Upper Town and the green spaces of the Lower Town. Take advantage of Zagreb while not being as popular as other European capitals yet and visit this vibrant city before the crowds do. We’ve teamed up with GPSmyCity so that you can use this ‘One Day Only – Zagreb’ guide on your trip. This mobile app comes with a GPS map and it works offline so you don’t need to worry about internet connection or a data plan. Did you like this article? Please share it, so more people can experience this beautiful city.